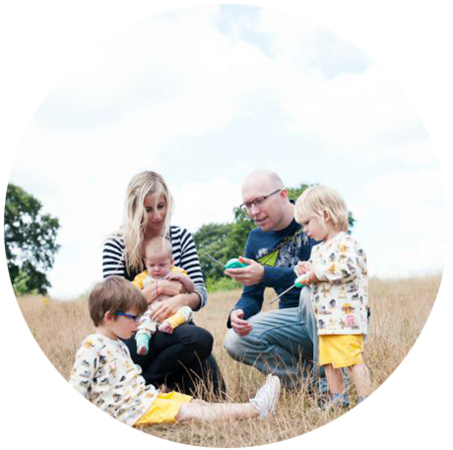 We have been using cloth nappies since Dylan was two months old and as both boys are still in nappies, it is certainly the most economical option. We have tried a variety of brands over this period and recently had the opportunity to try the Gnappies with disposable inserts. Gnappies have an option to suit everyone with a choice of either cloth or disposable inserts. The outer G pants are soft, stretchy cotton come in a variety of gorgeous colours and funky prints and contain a breathable, waterproof pouch which holds the insert. The cloth insert can be washed and reused but the disposable insert is discarded much like a disposable nappy, but is much more biodegradable than a standard nappy and can even be home composted with the right equipment. One great benefit of this design is that you can use cloth at home and disposable inserts for when on day trips or holidays when you may not want to carry the dirty inserts. I tend to use disposable nappies if we are staying overnight or on holiday but this would be a great compromise. I loved the design of the two nappies we were sent. They were practical and would look great in the summer with just a T-shirt. 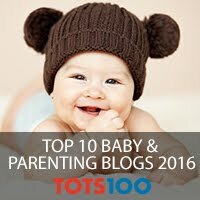 They were a much slimmer fit than most cloth nappies we have tried and having the velcro tabs do up at the back stops little hands trying to prise them open, as my cheeky 10 month old is prone to. 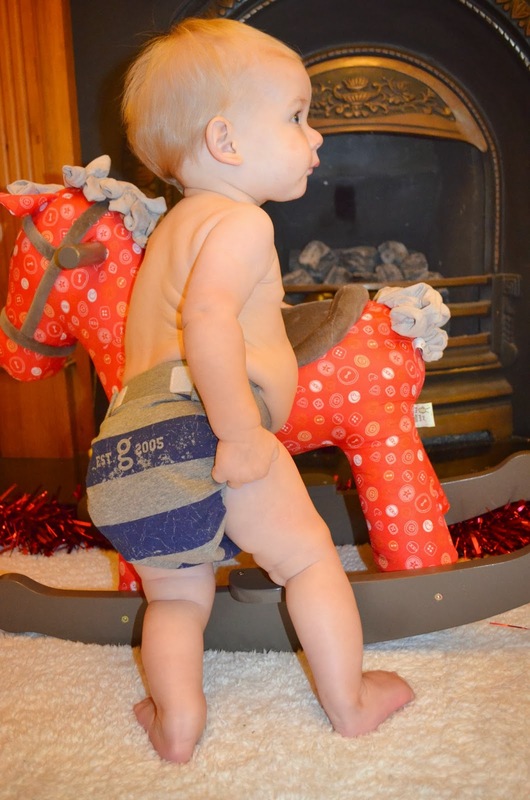 The nappies come in several sizes based on weight, from x small to x large and Archie is wearing Medium, with it being a great fit on him at 10 months, and plenty of growing space too. I was dubious that just one disposable insert would be enough but I was really surprised when after 3 hours we had no leaks. I have been using these nappies for a few weeks now and have not had a single leak. The waterproof pouch fits snugly and keeps everything contained and being able to dispose of the insert meant they were extremely practical. The same Gpant can be used all day if it isn't soiled which would be great for little girls if you wanted to co-ordinate a nappy with a dress. One thing I have found about these nappies is that they are definitely more expensive than other cloth nappies. The disposable inserts work out far more expensive than using disposable nappies which I think will put people off making the change. They are much better for the environment and kinder on your conscience but as mothers, many of us don't have the disposable income and are drawn to the cloth option partly for the frugal side. 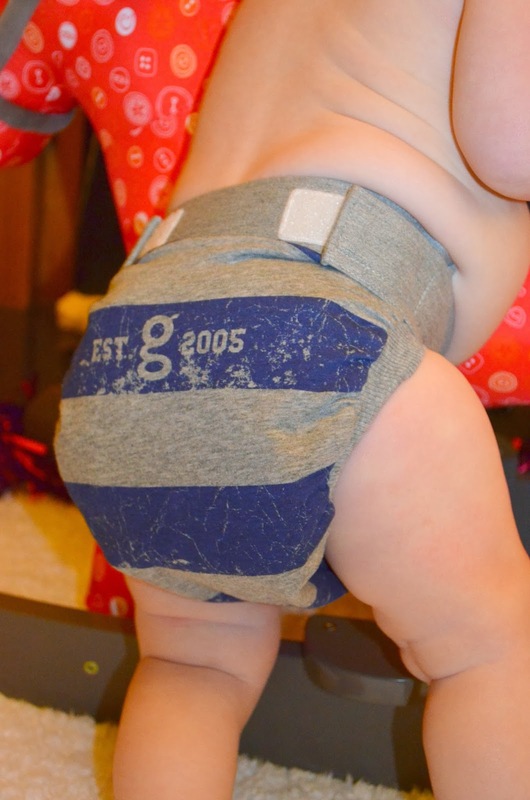 Using the cloth inserts does work out at quite a considerable outlay cost but I must admit that these nappies are lovely, and I would certainly consider buying more as the designs are great and they make cloth possible even with snug fitting clothes. Their resale value is also quite high and they can last through several children so I do think they are worth investing in. 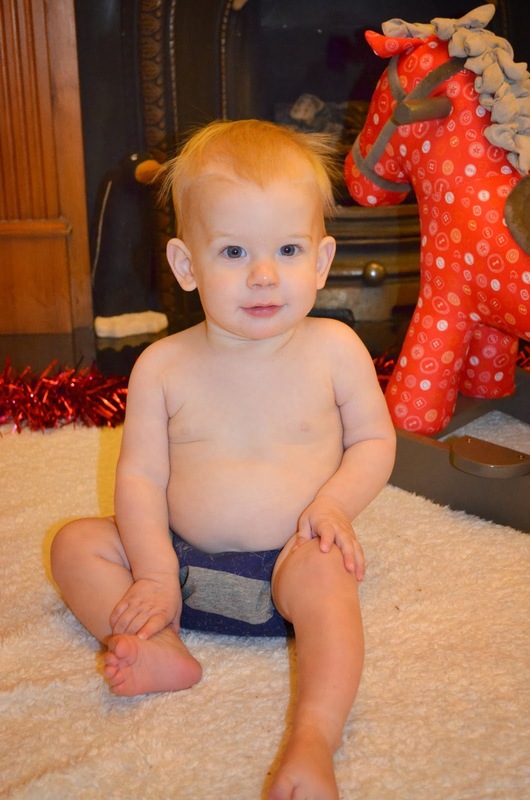 Overall I am really impressed with these nappies, their fit, absorbancy and style are brilliant and I would definitely recommend them to anyone looking to make the move to cloth, or wanting to use cloth from birth. They are easy to use and wash very well. The price is the only downside I can find but they are an investment, and something this cute can be justified! Disclaimer: I was sent two Gpants and some disposable inserts for the purpose of this review but all thoughts and opinions are completely my own. 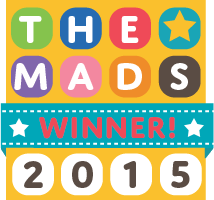 Labels: cloth nappies, gnappies, hybrid nappies, nappy review, reusable nappies, review. familiar with VST technology, I suggest that you get acquainted.